Steve has been a co-founder of four businesses including growing a global business. He has been active in a number of directorship, business and human resources organizations; often holding leadership positions. He is serving, and has served, as Director on private company, family-owned, non-profit, and association boards including in the role of Chair. He has made significant contributions in strategic development, nomination/governance, leadership development and succession planning. Steve’s career has been spent working with corporate executives in organizations or in transition to enhance corporate and individual success. 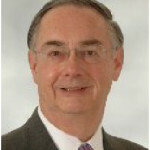 His insight and coaching has helped many executives enhance their performance in organizations and achieve their goals.